CBS News medical contributor Dr. David Agus, director of the Westside Cancer Center at USC, says he believes it is too early to put this kind of blanket warning on coffee. The current flap isn't about coffee itself, but a chemical called acrylamide that's made when the beans are roasted. 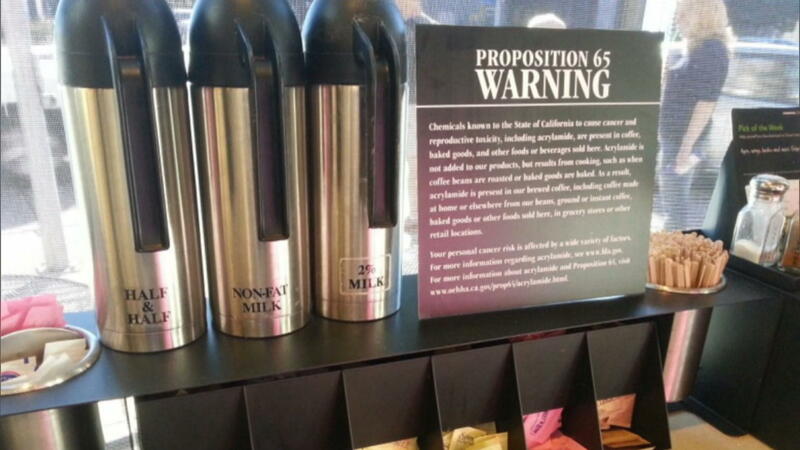 Government agencies call it a probable or likely carcinogen, based on animal research, and a group sued to require coffee sellers to warn of that under a California law passed by voters in 1986. Start with the biggest known risk factor for cancer - smoking - which generates acrylamide . In the diet, French fries, potato chips, crackers, cookies, cereal and other high-carbohydrate foods contain it as a byproduct of roasting, baking, toasting or frying. A group of 23 scientists convened by the WHO's cancer agency in 2016 looked at coffee - not acrylamide directly - and decided coffee was unlikely to cause breast, prostate or pancreatic cancer, and that it seemed to lower the risks for liver and uterine cancers. Evidence was inadequate to determine its effect on dozens of other cancer types. Since 1986, businesses have been required to post warnings about chemicals known to cause cancer or other health risks - more than 900 substances are on the state's list today - but what's a "significant" risk is arguable.